Italy is one of the world's most geographically easily recognizable countries thanks to its signature boot shape, which earned it the famous nickname 'The Boot' (or 'Lo Stivale' in Italian). 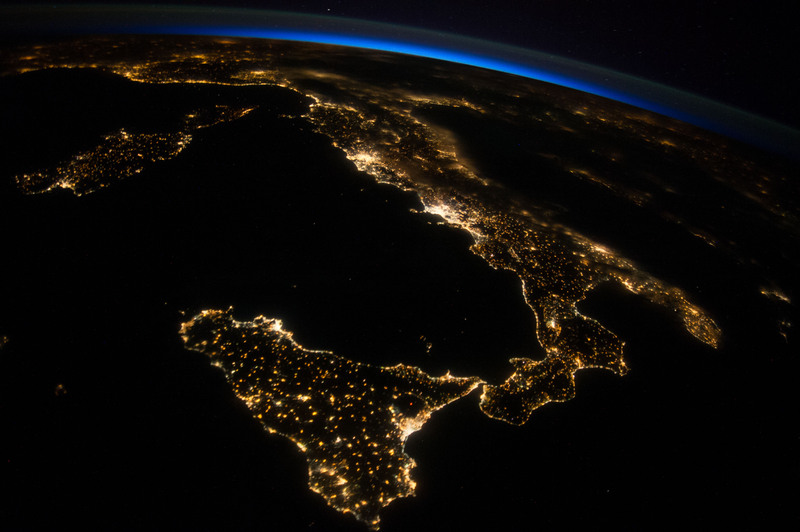 Last Saturday, Expedition 40 crew members aboard the International Space Station captured a breathtaking photo of the Italian peninsula from outer space -- at night. The 'oblique night image,' which illustrates the iconic boot in a way many have likely never seen before, was posted to the ISS Facebook page, where it's racked up around 5,000 likes as of this report. NASA astronaut Reid Wiseman, who is aboard the ISS and has proven prolific at posting stunning images from space during his time in orbit, posted the image to his Twitter feed, where it was retweeted more than 7,000 times and favorited more than 7,800 times. It's easy to see why as this pic is nothing short of extraordinary. For 31 amazing photos from July, click here.